Avast Free Antivirus 2016 Download latest version 11.1.2241 for Windows 32/64 bit. 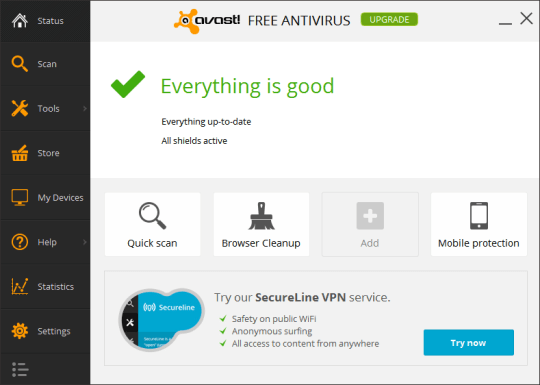 Get Avast Free Antivirus 2016 offline setup, standalone installer. 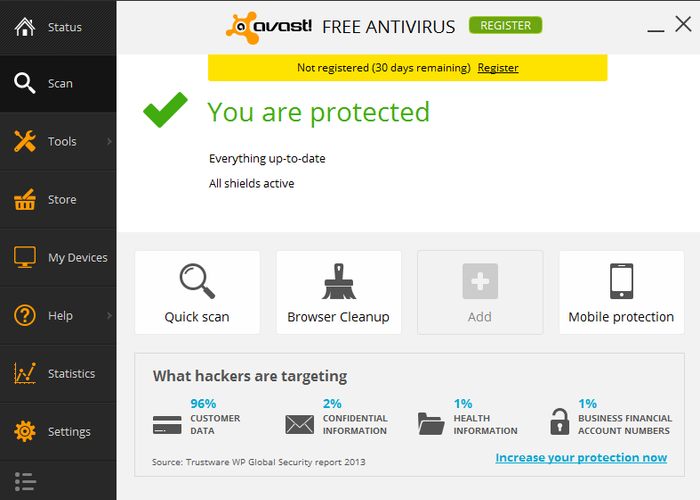 Avast Free Antivirus is one of the most popular multi-function security software around the world. The new version, 2016, retains the 2015 interface version with animated images to help the user navigate easily through the menu. It also features lots of optional settings allowing you to have full control over Avast’s behaviour. Avast can easily scan your system for outdated software and fetch the user a full list with outdated applications allowing you to select those which you want to be updated. It provides a syncing password manager than can sync your password list with Firefox and Chrome being protected by a master password to protect your list of passwords. You can also sync your list across different devices. Scanning with the 2016 version is an easy task using Smart Scan feature, providing all the important scan modes molded into one. Please be careful about clicking on some extra modules like VPN Secure Line and Avast CleanUp, the first one having a 7 day free trial and the other one will require payment to solve certain computer performance issues. Finally, Avast Free Antivirus 2016 is the best solution if you’re looking for a free antivirus. Multiple scan modes with settings defined by the user. Improved Antivirus and anti-spyware engine. System scanner which looks for updated software on your computer. Secure Password Manager with sync and import. Download Avast Free Antivirus 2016 latest version 11.1.2241 by clicking the download button below. 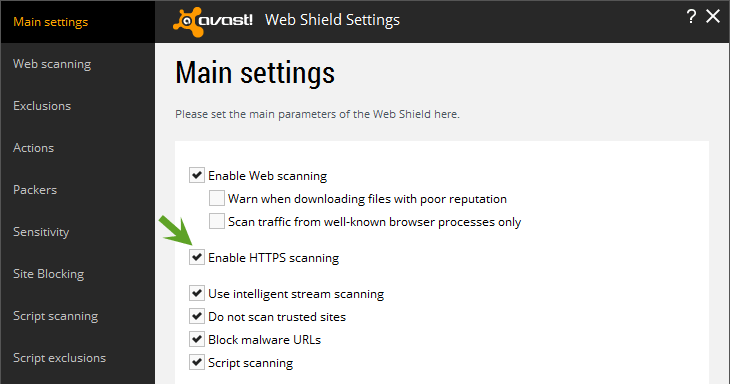 After the page opens remember to choose the “Download through your browser” option to start Avast Free Antivirus 2016 Download Offline Setup, Standalone Installer.